This rain fly is extra big designed for extreme rainy conditions when you want to keep your hammock and part of your camp dry. 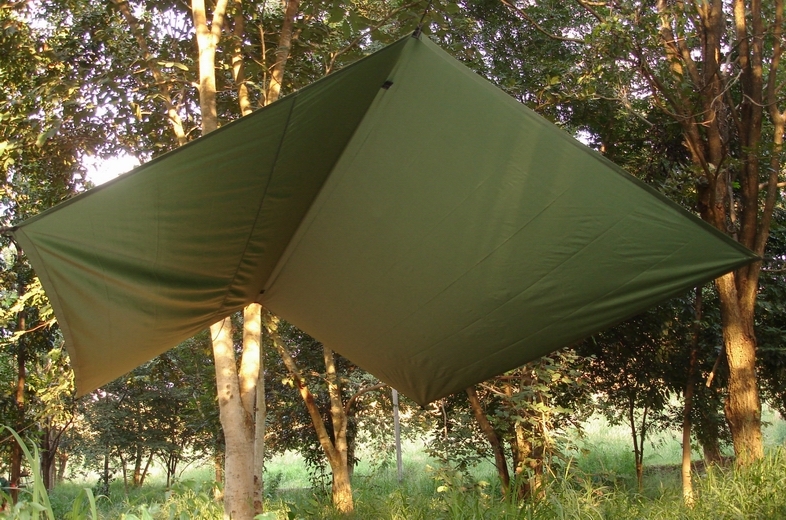 It is Olive Green 100% waterproof Ripstop fabric with attach points on the corners, sides and underside (for fastening the mosquito netting). 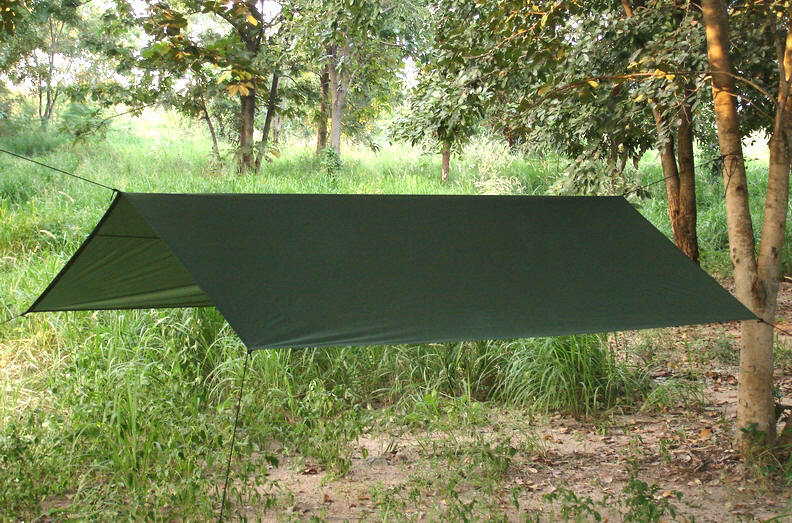 It attaches to the tree above the hammock with separate lines and can keep the hammock dry in heavy rain. The dimensions of the rain fly are 400cm long x 300cm wide. 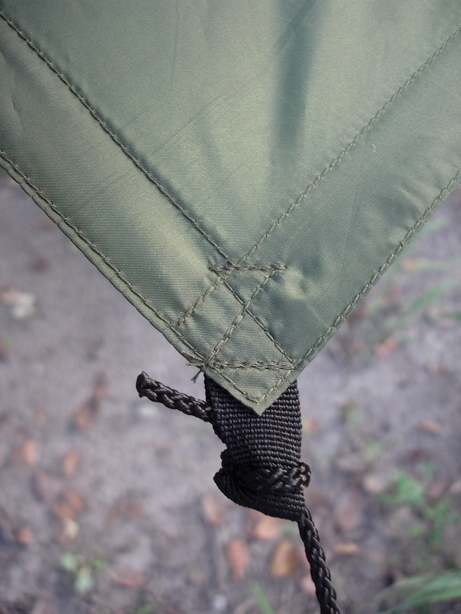 The rain fly comes with nylon attaching lines and we suggest you use a Sheet Bend to attach the lines to the Rain Fly. Color: Olive Green. Weight: 1.0kg. Advantages of the Rectangular Rain Fly.